Vancouver band Elias explored new territory with their sophomore record Fossils. Owing much of their sound to legendary Brit-Pop bands such as Radiohead and The Stone Roses, the group still managed to stake a rather impressive claim to originality on songs like the anthemic track Lake Louise. The group’s newest record was released this past Valentines Day, my review of which you can read here. 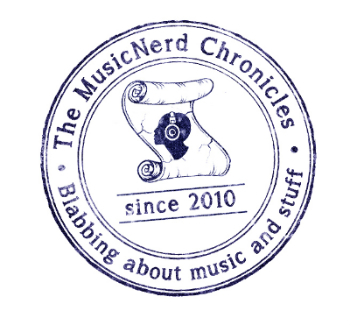 Elias vocalist and multi-instrumentalist Brian Healy recently chatted with The MusicNerd Chronicles with respect to the difficulty the group had in writing the new record as well as the different sounds that make up Fossils. Was there any trepidation about approaching the “sophomore” record having achieved some notoriety with your debut? Healy: Definitely! The writing process was a real struggle for us this time around. We really wanted to take the time to create songs and an album that outdid anything we had done before. We were really hard on ourselves for the majority of the creative process until we finally started sharing some of the ideas we had been working on for months with producers. What attracted you to (Fossils producer] Jeff Dawson (Daniel Powter, State of Shock) that led you to want to work with him for Fossils? Healy: We met Jeff after a long period of struggling with songwriting. We had been reworking songs, scrapping parts, switching choruses and melodies, stealing ideas and generally stressing out. Jeff came into the fold and saw a lot of potential in what we had at that point and seemed to be on the same page as to what we all wanted to achieve musically. It was refreshing and encouraging to have someone outside the group who was excited about the new music. The bonus was that he lived in the same city as we do, so we wouldn’t have to record while living out of a suitcase for months! There seems to be different textures running through the songs on Fossils yet the record as a whole remains coherent. Is it important for you guys to keep things interesting for yourselves as much as it is for your fans? Healy: It’s really important to keep things dynamic. I can’t listen to albums that are loud and ‘rocky’ all the way through – I get bored just as I would listening to an album that has only sleepy ballads on it. We wanted to try to give songs time to breathe, to break-down and build-up. In the same way, we wanted the album to have a good flow and feel coherent as a whole. I’d say that overall, this album grooves and drives more than some of our older stuff, but it still has moments that open up and leave space for sounds or melodies to come through. That helps keep us engaged with the music and hopefully gives the fans a more interesting ride when they are listening.